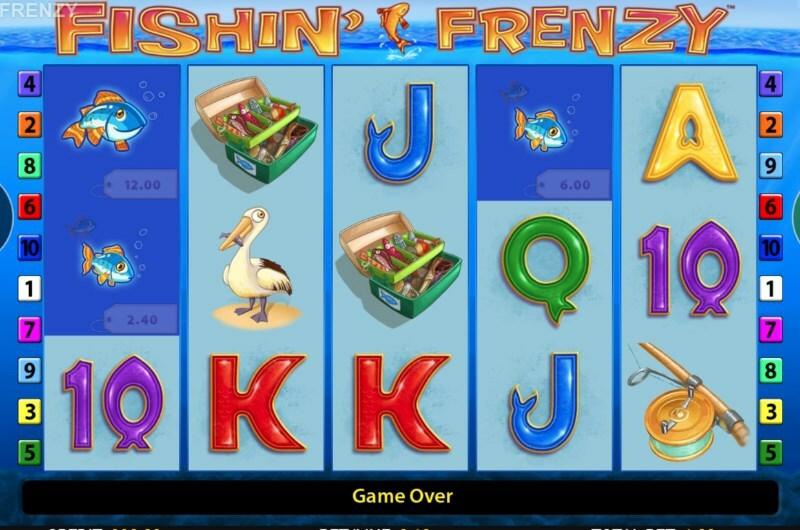 It's time to cast your rod for some wins in Fishin' Frenzy slots. There's a chance to hook a big one on every spin with wild symbols, bonus scatters and the free spins. During free games, you can even collect a whole boatload of fish for huge wins. It's the perfect 10 payline slot if you ever wanted to live out your fishing dreams. And best of all: you don't have to get your feet wet. So how do you activate the Fishin' Frenzy slots bonus? Let's find out. Blueprint Gaming's fish themed slot is actually one of the least feature-packed games out there. But we would still say that the free spins match up to the best of them. To activate the bonus, you will need to match three or more of the boat scatter symbol. Hit five boats and you can unlock the maximum reward: 20 free spins. Once the bonus is active, a new symbol will join the party: the fisherman. You will notice that most of the fish symbols have little value tags on them. If a fish symbol lands on the reels at the same time as the fisherman - then you will receive the value of the fish. Better still: the new symbol also functions as a wild for even greater winning potential. With some fish sporting a lucrative 500 coin win value - this spot of fishing could be very beneficial to your balance. 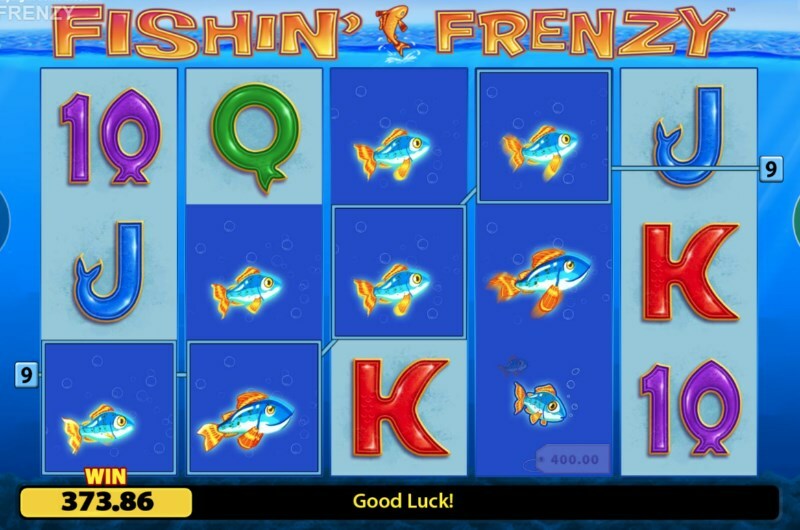 Fishin's Frenzy is possibly one of the easiest slots to play at Pots of Gold. To the left of the game reel, you will find the betting options. This is a fixed payline slot, so there's no need to fiddle with paylines to adjust your bet. Just click the arrow keys up and down to find your perfect stake amount. You can bet from a sardine-sized 10p - or bet a whopping £400 per spin. Once your set, press the spin button to get started. This Blueprint Gaming slot is a little light on the options. But there is autoplay for more dedicated players. You can set the slot to automatically spin for up to 100 times. And if you want to have ultimate control, you can also set loss limits - or even a single win limit. In the case of both options, you can set these stops for any size of loss or win. The only thing missing here is a quick spin option. Fishin' Frenzy is the perfect example of simple done exceptionally well. It's no wonder this game has such a dedicated cult following. You can try the slot for yourself right now at Pots of Gold - or read our Fishin' Frenzy slots review.